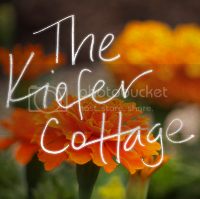 The Kiefer Cottage: The Kitchen, again. The cabinets are looking good, but I wish I lived closer to Neighborville so I could have had a beer with you all. Our neighborhood is being over-run with hipsters. I guess that's when you know your neighborhood has really made it - tight pants and fixies.